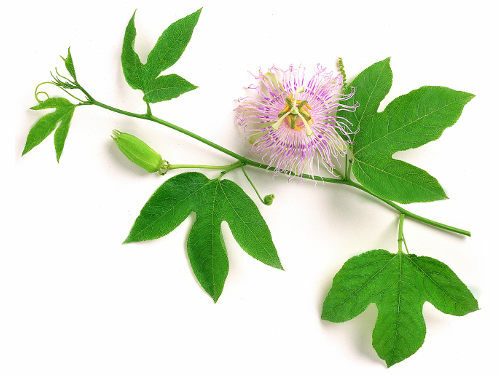 (Maypop) Important sedative used to treat insomnia, anxiety, restlessness, nervous disorders -- especially in children. It is very safe; no side effects or contraindications are known. The herb is taken as a tea or in tablet or tincture form. Now incorporated in many commercial products, this herb has become a significant American herbal crop in the Southern U.S. and Central America. Germination can be slow and erratic -- usually 30-50%. Leaching seeds in running water for 24 hours improves germination. Grows as a vine. Produces showy sweet-scented flowers and edible fruits.